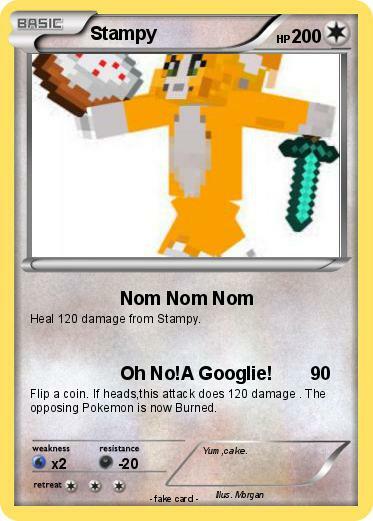 Heal 120 damage from Stampy. Attack 2 : Oh No!A Googlie! Flip a coin. If heads,this attack does 120 damage . The opposing Pokemon is now Burned.